First Challenge of the Stamp-a-Faire is Fashion Design. Wonderful challenge! I decided to go CAS for the card. Here is my card. Challenge: To create a card using the stamp that represents my fashion sense. 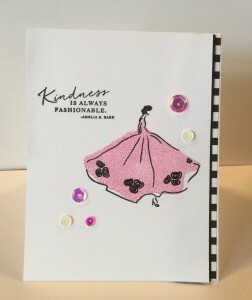 Supplies: PTI Fashion Sense Stamp Set, PTI Black Strip Paper, PTI Hibiscus Burst Dye Ink, Versafine Onyx Black Ink, Neenah Solar White #80 cardstock, Neenah Solar White #110 Solar White Cardstock, SSS Fall Festive Sequins. I love the black and white stripe on the side. Very pretty card. 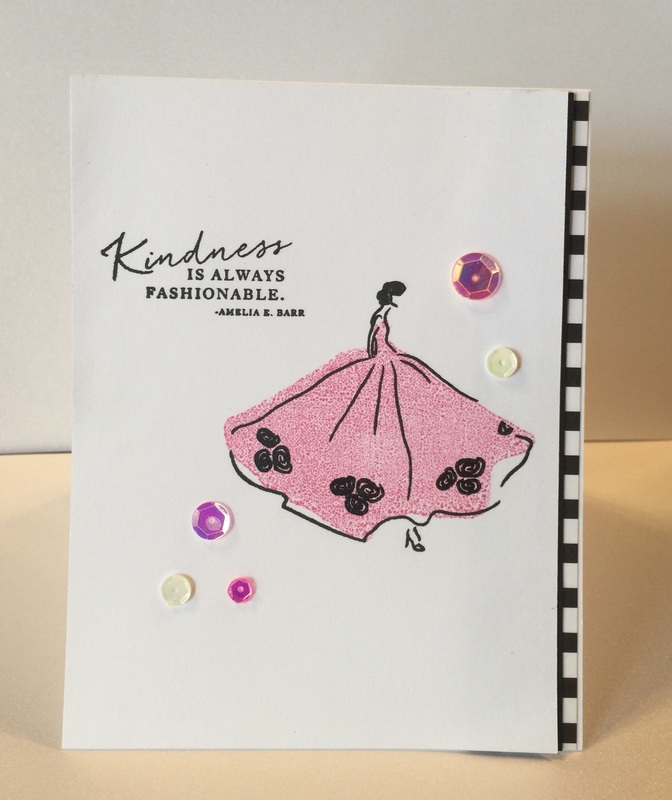 pink, black and white for a perfectly stylish card – so pretty! !